The Philippines cyber space is again facing another cyber war. Following the cyberattack from China, Malaysia hackers, now the Taiwan hackers have started the cyber war against Philippines. 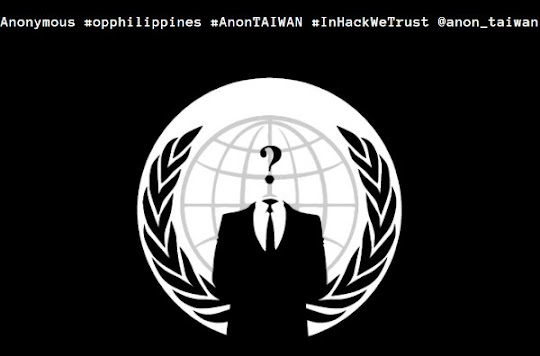 The operation named #OpPhilippines has been launched by the Anonymous Taiwan. The attack comes after Philippine Coast Guard killed Taiwanese fisherman. EHN was notified about the cyberwar by pinoyhacknews. "Philippine coastguard killed taiwanese unarmed fishermen is injustice and unforgivable. Philippine government protecting murders is unacceptable." The hackers posted in the pastebin. "You must apologize. Killers must be arrested immediately. Otherwise, we will not stop." The hackers defaced the '.gov.ph' domain registry website(dns.gov.ph/opph.html). They also defaced one more government webstie "Advanced Science and Technology Institute(suppliers.asti.dost.gov.ph/opph.html)". The hacktivist also leaked database from six different Government websites as part of the cyberwar. The links to the database dump is provided in a single paste(pastebin.com/sRykr2Wd). The affected websites includes Department of Education of the Philippines(former.deped.gov.ph), onlineservices.ipophil.gov.ph, Provincial Government of Bulacan (bulacan.gov.ph), Philippine Public Safety College(ppsc.gov.ph),Province of Sulu(sulu.gov.ph). The leak contains username, email address and passwords. The hackers also dumped(pastebin.com/D7gCEdS6) the database from the 'gov.ph' domain registry website that contains username and password details belong to all Government websites. It has more than 2300 entries.